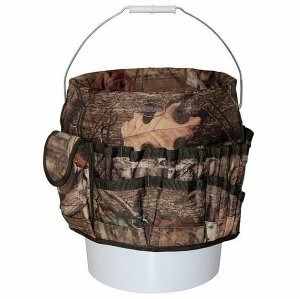 Just like a regular Bucket Boss, only in Camo (so you can't see it). Made with Mossy Oak 600D/poly. There are 30 assorted storage pockets and the Camo Bucket Boss fits any 5 gallon bucket. There are also 3 interior loops for hammers, drills, pry bars and long tools.